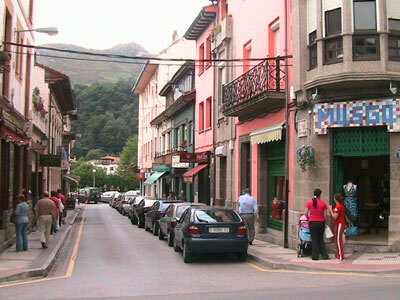 In common with many Asturian towns, Cangas de Onis has its own little street dedicated to sidra (Asturian cider) with a number of Sidrerias on it and the give away smell (the following morning) of the spilt sidra on the pavement of the previous night. 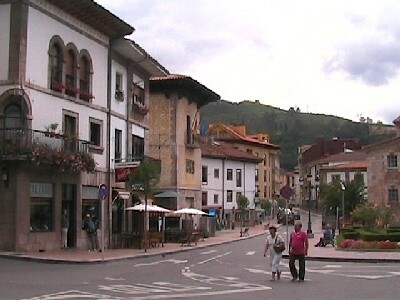 Eating in Cangas de Onis is not expensive, but it is geared towards an economically priced international palette. If you leave the town and drive towards Cavadonga there are a number of small hotels and restaurants that may offer you a greater variety of cuisine. Be aware that not all of these are open outside the summer months. If you want something authentic to eat, then your best bet is to go for the "menu del dia". This is a fixed lunchtime menu with a selection of three or four items from each of its three main courses. It is usually good value and gives you a taste of the region - and at a "not to worry" price in the event that you do not like it. Although not difficult to spot, the shops and agents offering adventure sports will have words like "adventura" in their title and typically a billboard, mannequin, canoe, or quad bike on display. Always check out two or three different companies to make sure that you get the best deal at the best price, particularly during off peak times. If you want the true rural Asturian experience, arrange to stay in on of the many small hotels that appear to be all around Cangas de Onis and indeed the Picos de Europa. There really are a lot of these little family run hotels and I can honestly say that the one that we stayed in, located between Cangas de Onis and Cavadonga, was fantastic. You should look to pay around 50 Euros per night for a room, including breakfast for two. keep an eye out for the town's older building by trying to spot the original stone caved coats of arms in the building's main facades. Some of these structures may not look all that impressive, but some do date back several centuries. Finally, Behind the main town of Cangas de Onis there is a small river and you can walk along side it and call in at a couple of bars/restaurants that face it.